Each new year signals a new beginning—especially when it comes to your social media strategy. If you have new idea on things to try on social media this year that other brands aren’t doing, you have a better chance of surprising your audience and engaging them. 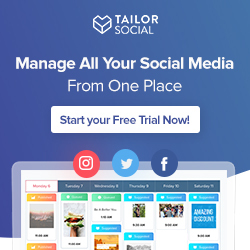 We’ve outlined all the major updates and new features for each of the major networks so you can incorporate them into your social marketing strategy for 2019. Messaging app usage continues to grow—and social networks like Facebook are quickly adapting. 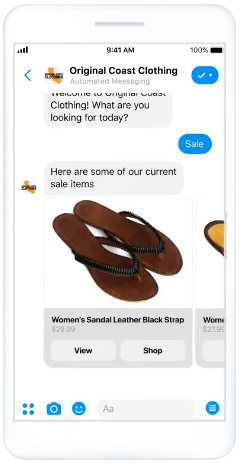 Facebook recently introduced Messenger ads, which allow brands to create and send targeted ads through private chat. If your audience uses Messenger, it’s worth a try. With features like automatic placement, Facebook will deliver ads automatically to your followers. You can also edit your ad placements, which means your Messenger ads will need to run in coordination with your news feed ads. Plus, with Mark Zuckerberg’s 2019 announcement that Facebook would be shifting to a more private model of social networking, brands should get used to advertising in Messenger sooner rather than later. Pro tip: contacting someone through a private message is a lot more personal than a display ad. Make sure that your messaging is in context with other interactions you’ve had. For example, you could share a discount code after someone has made a purchase. Facebook Marketplace is an online shopping channel that allows users to buy and sell from their local community. In 2018, Facebook announced that businesses could place ads in Marketplace—which is great news for brands. This Marketplace ads functionality means that you can extend your reach even further across Facebook properties. Your ads will appear across the Facebook news feed, Instagram, Messenger, and Audience Network. Early adoption of Marketplace ads could have a big payoff. As Facebook shares, businesses are already seeing a return on their investment. Women’s lifestyle subscription box FabFitFun doubled its return on ad investment and increased its subscription base using Marketplace ads. Facebook recently rolled out a handful of features to make amateur video creation quick and easy. Their video creation kit allows you to create mobile-optimized social videos based on pre-selected images, logos, and text overlays. This feature is super handy if you need to create a lot of visual content, but don’t have a big budget or in-house team that can do it. You can customize different templates depending on your campaign goals, whether you’re looking to run a brand awareness campaign or drive sales for a new product. In 2018, Instagram launched IGTV, an app for watching long-form video. It’s been designed with the Instagram audience in mind: it’s a fullscreen vertical experience. IGTV now gives brands the opportunity to create videos that are up to an hour long. Compared to the usual 60 seconds that Instagram typically allows, this is a big change. 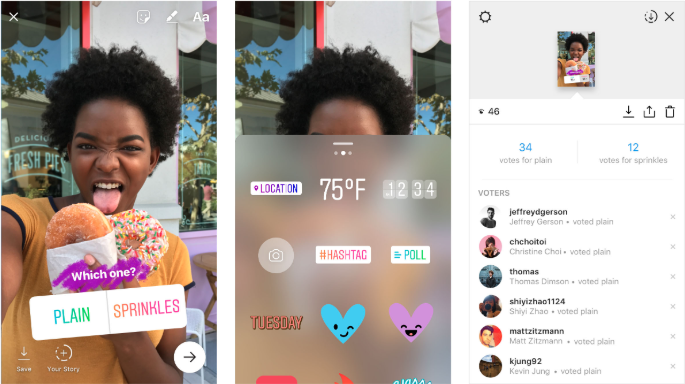 Story Polls are the ultimate engagement play, aimed at making your Instagram Stories more fun and interactive. The template is fairly straightforward. You ask your audience a question; they’ll have a choice between two responses. Don’t let the simplicity of Story Polls deceive you—it’s a powerful marketing tool. You can use the polls in a variety of ways depending on your content strategy, like run quizzes, show off your product, or do customer research. The customizable template allows for a lot of flexibility to suit your goals. Instagram is testing a new feature that will allow brands to promote their Stories. Similarly to Facebook’s Boost feature, Instagram Promote would allow brands to put ad budget behind their Stories content. TechCrunch predicts that this will be the next big moneymaker for Instagram. Boosting content is a quick and easy way to extend the reach of your top-performing organic content. When this feature becomes available, it will allow brands with any budget to get their best content in front of new eyeballs. Snap Camera for desktop lets users to access their lenses on their computer while doing live streams and video chats. The Snap Camera syncs with your computer’s camera and other applications like YouTube, Skype, Google Hangouts, OBS, and Twitch. If you’re interested in live streaming with a younger customer demographic, this is an exciting place to start. Try experimenting with live contests or Q&As and see how they perform. In partnership with Amazon, Snapchat has launched visual search. This feature allows users to take photos of objects or barcodes, and an Amazon “card” with product details will pop up. You can then buy from the Amazon app or you’ll be directed to the Amazon website. This feature is similar to Pinterest’s visual discovery tool, which allows you to take photos of objects that Pinterest will match to photos on its platform. However, Snapchat’s visual search offers a new opportunity for brands selling through Amazon. In the next year, Twitter could look more like a messaging platform. They’re currently testing some new features—including the new speech bubble—that will allow for a simpler conversation view between users (already in messaging apps like iMessage and WhatsApp). This feature will be useful for brands that already use Twitter as a conversation platform with customers, since threaded chats will be much easier to track and manage. Once the beta is available to a wider group, try it and see how it works for your team. The new UI might mean that you adapt your existing engagement strategy. Twitter is also working on a status update feature that will encourage users to comment on how they’re feeling about the latest news and events. This is a great opportunity for brands to promote events to their customers and participate in what’s trending with your community on Twitter. 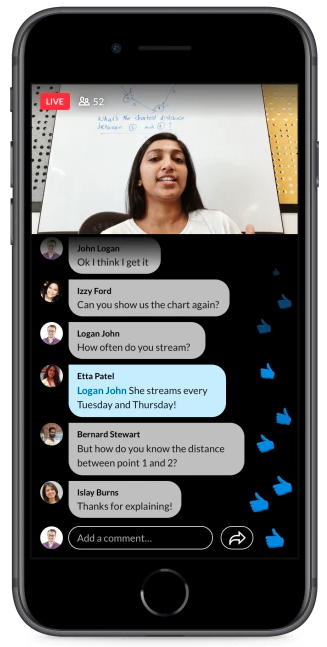 LinkedIn is currently running an invite-only beta that will allow users broadcast live video to select groups or their entire connection list. LinkedIn’s streaming will focus on the niche it’s best known for: business users. That’s why LinkedIn Live will be the perfect platform for brands to share professional events, conferences, executive Q&As, earnings calls, and product announcements. LinkedIn’s intelligent hiring experience is a dashboard that brings together LinkedIn’s previous hiring suite—LinkedIn Recruiter, LinkedIn Jobs, and Pipeline Builder—into one platform. The new platform will include a recommended candidates feature, which will suggest candidates on LinkedIn based on your hiring criteria. This will help cut down on manual searching and help you identify top talent faster. 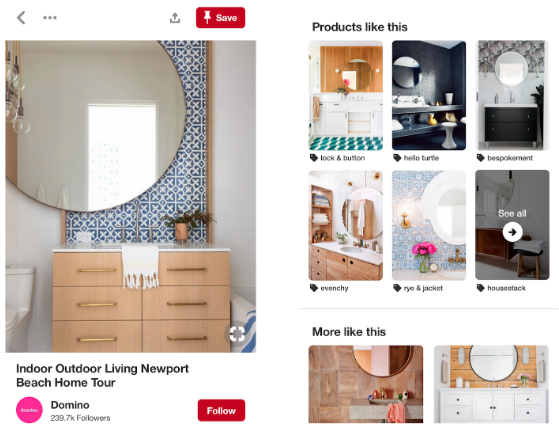 Pinterest has completely rebuilt its product pins to make them more shoppable, adding new dynamic pricing and stock information. The product pins will also include a shopping bag icon that will link directly to a retailer’s checkout page. This will make it easier for users to move seamlessly between browsing and buying on Pinterest. If you’re selling on Pinterest, the new checkout will be an important part of your strategy. Pinterest reports that clicks to retail sites have increased 40 percent since the latest product pins were introduced. Every consumer deserves to be recognized on social media—and Pinterest understands that. They’ve just rolled out a new feature called skin tone, which will give beauty product recommendations and trends based on different complexions. Retailers, take note. If inclusion and diversity aren’t part of your social commerce strategy, now is a great time to begin learning. By revamping your social strategy and trying out new things on social networks, you have a better chance of increasing your engagement and delighting your audience. Use this list to guide what new features and tactics you try out in 2019.